Stop in to any of our branches to get your prepaid debit card today! Spend only what’s on it. Reload whenever you want. This re-loadable card can have $10 to $5,000 on it. 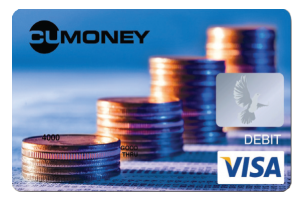 This card will help to not overspend as spending is limited to the money you deposit to the card. You can easily reload the card with additional funds when needed. Customized with your name, the Everyday Spend card has all the convenience of a debit card but no account or credit check is necessary. You can even use the card to get cash from an ATM. Already have an Everyday Spend card? Access your account here. Order your Everyday Spend Prepaid Debit Card at any Fox Communities location. This card is a great fit for businesses to give to staff taking business trips. Give yourself peace of mind and convenience while traveling in the U.S. and abroad with these modern ‘Travelers Checks’. This card can be loaded with $100 to $5,000 for your spending. Your TravelMoney card can also be reloaded! In addition, TravelMoney cards are available as Chip Cards and are recommended for international travel. Already have a TravelMoney card? Access your account here. Get your TravelMoney Prepaid Debit Card at any Fox Communities location. Need a gift for a birthday, anniversary, graduation, promotion or simply to say thanks? Our Visa Gift Cards come in colorful designs to celebrate any special event. These cards can be used anywhere Visa is accepted worldwide, including in-store, online and by phone. So they’re more functional than a gift certificate and safer than cash. Cards can be loaded with as little as $10 and as much as $1,000. Get a Visa Gift Card at any Fox Communities location. Cardholder Customer Service is available 24 hours a day, 7 days a week, 365 days a year. Ask general questions about how your card works.